Peter Travis attended St. Lawrence High School in Cornwall, Ontario from 1960-62. In 1963, Travis attended St. Francis Xavier University. In 1964, Travis played junior football in Toronto while hoping for a scholarship to a U.S. college. Travis ended up enrolling at North Central College at Napieville, IL (near Chicago) for the the second term. Travis returned to North Central College for 1965 and then in 1966 got his first taste of CFL actioin as he attended the Ottawa Rough Rider rookie camp before returning to North Central. Travis transferred to the Universityh of Louisville for 1967, but was not eligible to play football. In 1968, Tavis attended a tryout camp with the Montreal Alouettes, and ended up signing with the BC Lions on October 10, replacing the injured Jim Carphin. Travis ended up playing 6 games in 1968. 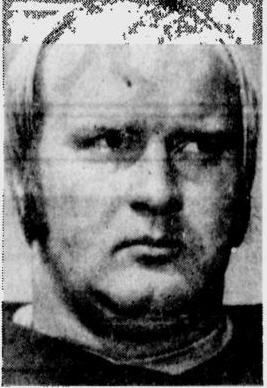 There was adispute with Montreal over who owned Travis's rights, but he ended back in BC in 1969 and was released on July 30 before the season started. Travis signed with the Spokane Shockers of the Continental Football League in 1969. Travis retgurned to Canada in 1970 and played three seasons for the Eskimos (1970-72), dressing for all 16 games in each season. Travis was traded to Montreal in July, 1973 for Phil Price. Travis rejoined Edmonton in September, 1973 and replaced the injured Joe Worobec. After retiring from football, Travis opened a restaurant called The Point Aftger in Edmonton and was a regular commentator on a local radio football show.